As a lawn care service provider, you offer your clients the best services and products possible to keep their lawns in top shape. However, educating your clients on the best cultural practices for turf management can also help them get the most out of the services you provide. The list below provides a few best cultural practices to share with your customers. Maintain a recommend mowing height – Mowing height recommendations vary by grass type. It is important to mow regularly and avoid removing more than one-third of the surface of the turf blade, as short mowing can cause damage to the turf. Grasses with higher mowing heights are better able to compete with weeds and tolerate drought stress . Additionally, ensure mower blades are sharp and mow when turf is dry. A dull mower blade causes the leaf blade to tear rather than cut and creates a ragged turf appearance. 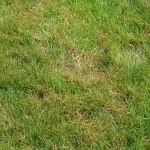 Mowing wet turf causes clumps of clippings that will smother turf if not removed. 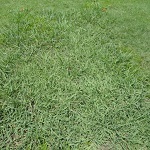 Mowing dry leaf blades allows even distribution of clippings over the lawn. The chart below provides an overview of recommended mowing heights for a variety of grass types. Water regularly – In general, turf requires one inch of water per week during the active growing season, and should be adjusted based on weather conditions. It’s best to apply the water in smaller amounts during the week instead of all at once, and to water in the morning or early afternoon during the heat of the day (watering at night produces a wet lawn creating ideal conditions for disease). Irrigation during heat and moisture stress periods can encourage turf recovery, reduce weed encroachment and help alleviate certain disease and insect damage. Don’t over-fertilize – While fertilization has a direct influence on the ability of turf to tolerate pest pressure, too much can be detrimental. Work with us to ensure your lawn is properly fertilized. Please do not add additional fertilizer to your lawn, as it can cause unwanted damage such as yellowing or browning of the lawn or even kill healthy grass. Aerate – Soils that are subject to heavy traffic are prone to compaction. Aeration can help loosen compacted soil, which helps water, air and fertilizers reach the turf roots. It can also help with overseeding. Typically, you should aerate once or twice a season by removing small cylindrical-shaped cores of soil and thatch from you lawns. Tools like a mechanical core aerator can help with this process and can aerate a yard quickly to maximize the area covered. The best times for aerification of cool-season turfgrass are spring and fall when the soil is moist. Warm-season turfgrass should be aerated in the summer. Prevent brown patches – If you are not receiving one of our fungicide or insecticide services, you may begin to see brown spots on your lawn that are likely caused by insects or disease. If you begin to see damage, contact us and we can develop a treatment plan to help stop the problem from spreading and protect the investment you have made in your lawn. Manage shaded areas – Growing turf in shaded areas can be challenging. Turfgrass needs a significant amount of sunlight to thrive, and when adequate amounts aren’t received, lawns can thin out. Cultural practices, like pruning tree foliage to help increase the amount of filtered light, can help improve the look and feel of your lawn. ​​​​​​​By sharing these cultural practices, you can help your customers create strong, dense turf in their lawns, which can better withstand weed and disease pressure throughout the season. For more information on tools you can use to promote your business and educate your customers, please visit GrowWithSyngenta.com. ©2018 Syngenta. The Syngenta logo is a trademark of a Syngenta Group Company. Syngenta hereby disclaims any liability for Third Party websites referenced herein.